The day began with a thought-provoking panel, introducing the idea of modernity and the multiple interpretations that come along with it. Three panelists spoke about the way the term is used as “the ideal goal for nations to pursue.” They questioned what this ideal goal actually looks like and whether it works in all societies. From what I learned, modernity is deeply rooted in western ideology, which frames our expectations of how people should live around the world. It is linked to the idea that you must leave old traditions in order to be modern. But this Eurocentric standard cannot possibly speak for the vast narratives that exist around the world. At the end of the discussion, the audience was left with the question of how to stay personal while still being analytical when discussing modernity. Following the first panel, we were treated to a free lunch featuring a plethora of ethnic and Asian fusion food alongside a film screening. Puso ng Lungsod (or Heart of the City) was presented in collaboration with the York Centre for Asian Research (YCAR) as part of their Emerging Asian Urbanisms event series (leaving me wondering how on earth I was only learning about this now!) The film demonstrated the resistance of the urban poor in the Philippine capital of Manila when faced with housing demolition in their communities and forced relocation. 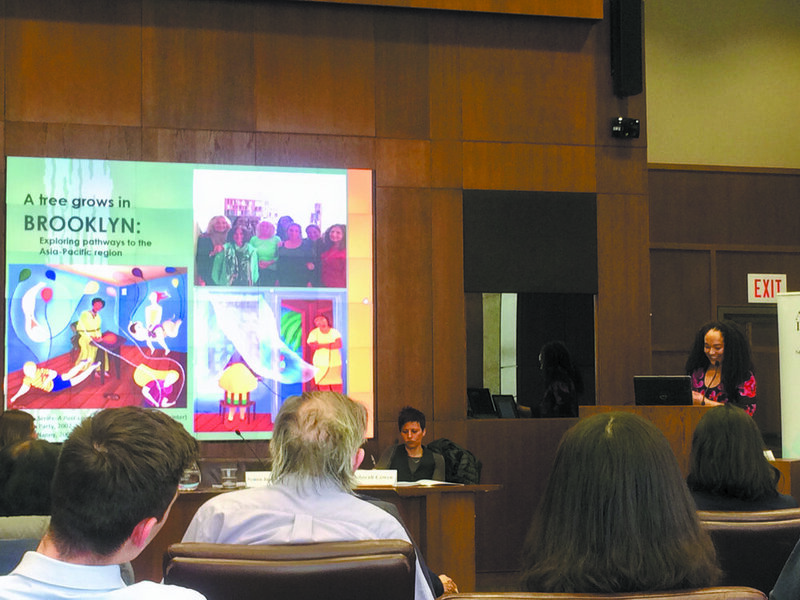 This was followed by a brief Q&A period with Dr. Andre Ortega and Hazel Dizon, two academics from York University, where local comparisons were drawn to the gentrification of Regent Park. My favourite panel began in the early afternoon and sought to challenge ideas of urban and rural divides in the conceptualization of a city. Hearing “urban versus rural” often paints a picture of skyscrapers juxtaposed against open fields, so it was interesting to see how the presenters were able to show that a piece of land is not always neatly organized. One presented her case study on urban nomadism in Ulaanbaatar, Mongolia showing how Gers (traditional round tents used by nomads) are integrated into the city in “Ger Districts.” In addition, eye-opening presentations on rural cities and urban villages based in China shattered my notions of settlement structures. Who knew such inherent contradictions could exist? From these talks, I was enlightened to learn that the line dividing what is “urban” and what is “not urban” is curiously blurry. The day began to close with a final panel speaking on the topic of migration and solidarities. The panel focused on the positive factors surrounding migrants, discussing how they are able to come together and support one another. One presentation was particularly notable. It looked at female migrant domestic workers in Singapore who are not actually considered to be “workers” but rather “helpers” in their society. It was uplifting to discover that these women, despite their rather unfortunate political and economic circumstances, are helping to empower other female migrant workers through educational and community-building groups, like HOME: Humanitarian Organization for Migration Economics. Soon after, discussion groups followed, along with closing remarks and a dainty reception complete with free champagne. All in all, it was a wonderful event that I wholeheartedly recommend attending in future. It was an informative and impactful day to say the least and I went home full of knowledge — and a full stomach to boot! As my own graduation approaches, I find myself reflecting on the next steps of my life, hopefully and possibly involving a closer relationship with my roots and fostering educational support groups for the Filipino community of Toronto.